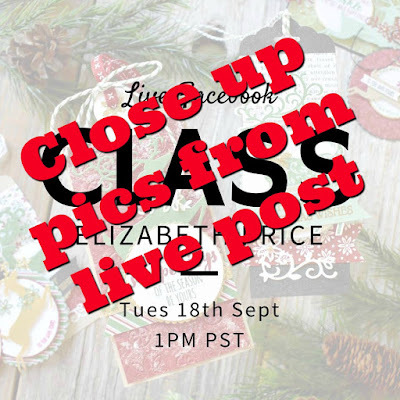 You saw this card first on my Facebook Live Video--here are close up pics! This card includes a full layer of the green on white book print paper from the Dashing Along DSP. 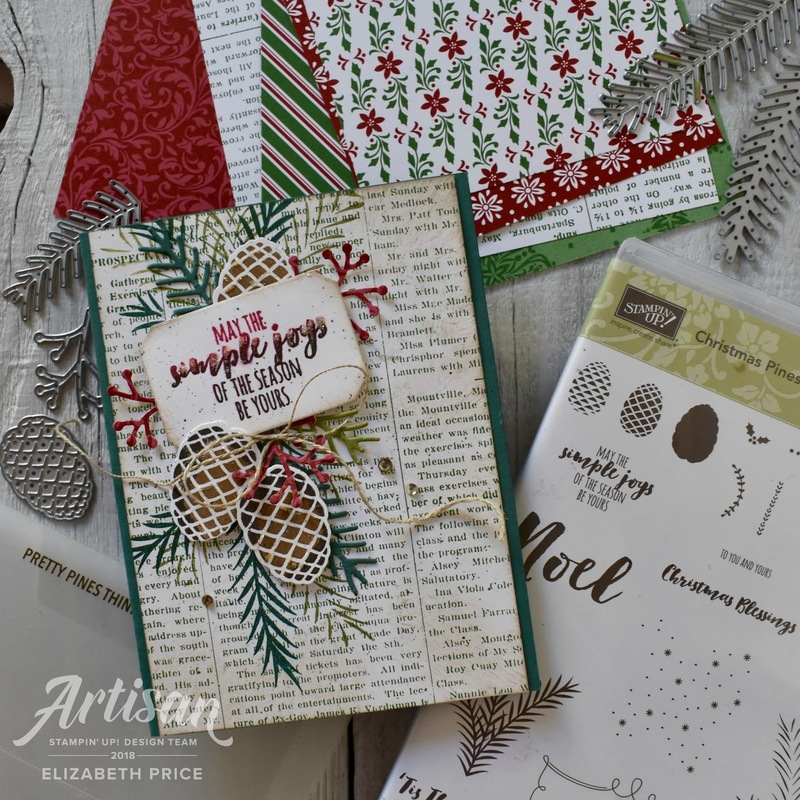 I pulled out an all time favorite of mine the Christmas Pines Stamp Set and the Pretty Pines Thinlits. 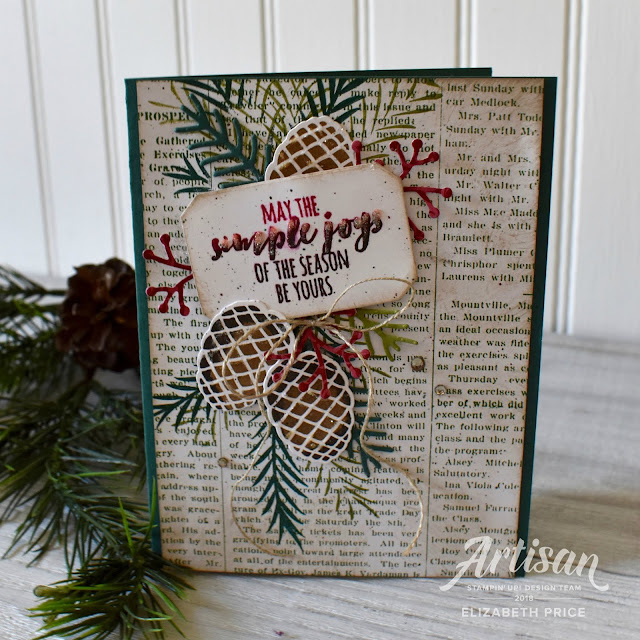 This card is totally inspired by a card made by Cathy Caines. She shared a fabulously awesome card on her Facebook Live video class which I could not wait to create one of my own. I didn't have the same stamps and framelits, but I grabbed the Christmas Pines Stamp Set and Pretty Pines Framelits to whip up my own version. Thanks Cathy for the inspiration.